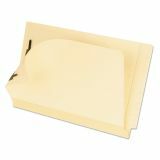 Pendaflex Laminated Spine End Tab Folder with 2 Fasteners, 11 pt Manila, Legal, 50/Box - Bonded-style fastener folders are polylaminate reinforced on the bottom score and have double-ply, full-cut tabs. Reinforcement on the bottom prevents bursting or splitting for exceptional strength and durability. 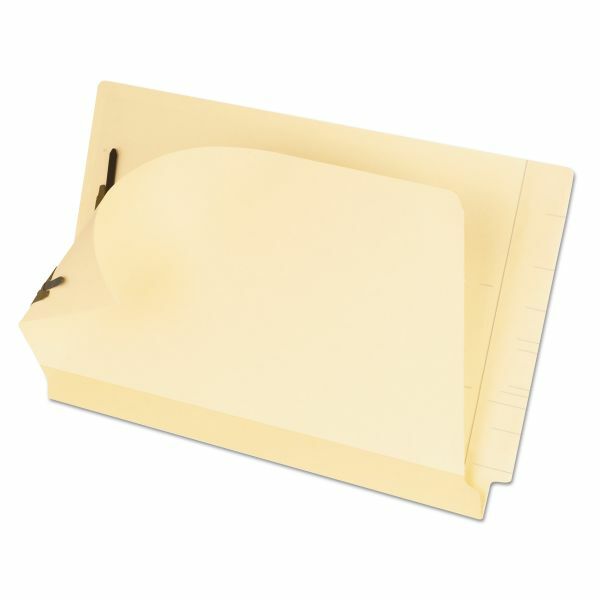 Legal-size folders are made of extra heavy, 11 point manila stock. Each folder has two 2 capacity fasteners in positions No. 1 (right top) and No. 3 (top left).